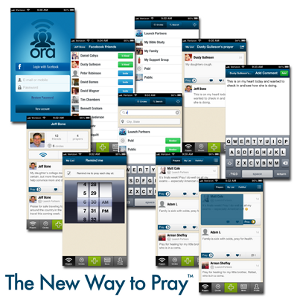 ORA system creates a personal mobile experience for the individual and an enterprise-quality community management platform for any organization to invite, connect, share, respond and interact with one another in intercessory prayer. “We’re looking forward to integrating Ora into the life of both our physical and online church congregations. What an incredible tool to engage communities of believers around the power of prayer!” stated Nils Smith, Web Pastor at Community Bible Church of San Antonio. ORA is a free download for iPhone (and is coming soon for Android). 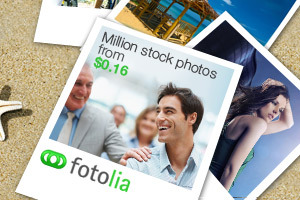 The ORA smartphone app integrates into the ORA Community system. The ORA Community system is a software as a service (SaaS) solution designed with many more management features that allows an organization to administer community-wide prayer communication and easily integrate with existing email, church management or relationship management software from leading providers. For a limited time, ORA is offering a no-cost trial of the ORA Community system for an organization. For more information visit the Ora Website. Download ORA for the iPhone in the App Store! PS. Don’t miss any of my blog posts. Sign up for free updates. Then be sure and connect on Facebook!